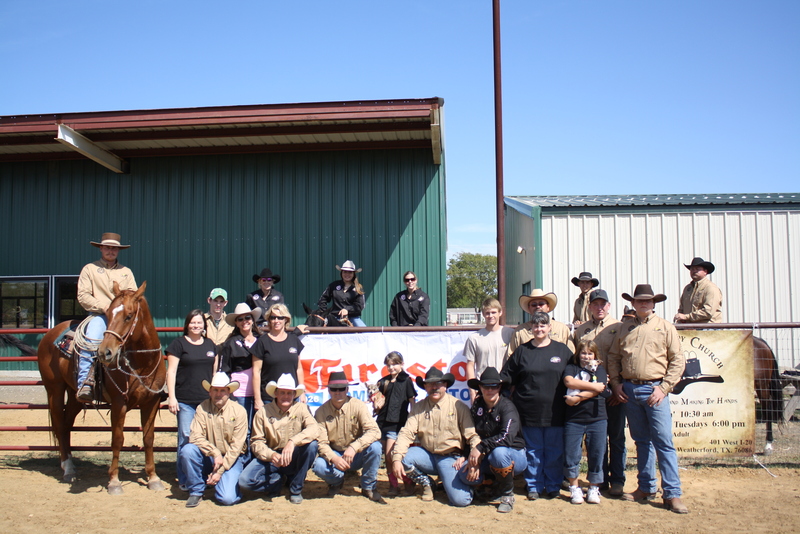 Red Oak, TX was the host of the Cowboy Church Ranch Rodeo on Sept 23 ans 24th 2011. Where Cow Camp Cowboy Church competed against other area cowboy churches for a chance at saddles and buckles! Events included Sorting, steer riding, branding and doctoring. Other events were team sorting, barrels, team roping and pastors race. Cow Camp Cowboy Church team was made up of Pastor Frank Johnson, Tom Davis, Tate Woodard and Andrew Kromm as the main team also helping with points doing second day events were Shannon Johnson, Laurel Davis, Traci Davis, James McDaniel, Joel McDaniel, Justin Johnson, Andrea Pelton and Sandy Hodge. 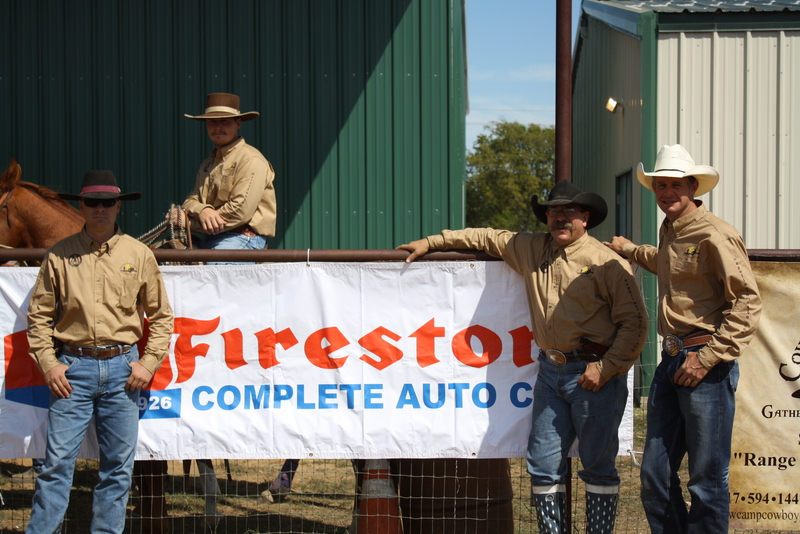 The main team did real well in the main ranch rodeo as well as the second days events. Tate Woodard walked away with first place in the team roping with buckle and prize money. Traci Davis and Sandy Hodge took second over all in the team sorting. Cow Camp Cowboy Church of course set up camp with the chuck wagon at the Lonestar Cowboy Church in Red Oak while competing at the ranch rodeo. We drew a lot of folks to our area and were able to fellowship with many! Please visit our sponsors and support them — hope you enjoy the pictures and videos. for More pictures go HERE!